One of the fastest growing vehicle segments in the automotive industry over the past decade or so has been the compact SUV. More and more drivers are looking for SUVs that are more efficient and are willing to sacrifice a little space for it. To capitalize on this interest, automakers have flooded the market with tons of compact SUV models for drivers to choose from. With so many options, which stand out from the rest? That's where we come in. We create these model comparison pages so that drivers can see how some of the most popular models in the most competitive segments stack up directly against one another. We find that it helps for drivers to see important model information side-by-side to cut down on confusion and make the choice a little easier. For this comparison, we're going to be looking at the 2018 Mazda CX-5 and the 2018 Jeep Cherokee. To see which model offers more value to drivers, we're going to compare their MSRP, fuel economy, power and space. Let's see who comes out on top! When you look at the key model information for both compact SUVs, it's easy to see why both are so popular among drivers! Both the 2018 Mazda CX-5 and 2018 Jeep Cherokee offer drivers impressive measurements when it comes efficiency, power and space at an affordable price to boot. However, when you compare the two side-by-side, it's clear that the 2018 Mazda CX-5 holds the edge over its Jeep competitor. 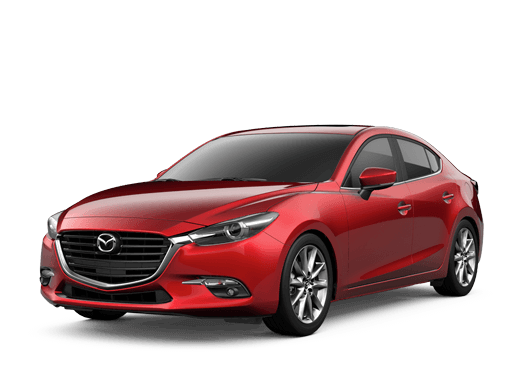 Even though the starting MSRP for the 2018 Mazda CX-5 and 2018 Jeep Cherokee are practically identical, the 2018 Mazda CX-5 still offers a better-combined fuel economy, more horsepower and a roomier interior for both passengers and cargo. Essentially, for the same price, you get so much more! Want to learn more about the 2018 Mazda CX-5? Ready to get behind the wheel of one? Contact our staff at Fairway Mazda in Savannah, Georgia, for more information or to schedule a test drive today!